We feel both proud and humbled by all of the great feedback and support we have received since launching Mitchell’s Realty Hervey Bay on the 5th of January 2016. It has been a busy month getting all of our marketing and new social media pages up and running with our new web site now only days away. We understand the importance of on-line marketing and have invested significant time and money to ensure we will be providing our clients and customers the most current state of the art platforms to both engage with us and show case our properties for sale. According to the January 2016 CoreLogic RP Data Hedonic Home Value Index results, dwelling values across Australia’s combined capital cities showed a 0.9 per cent rise in January after recording no change in December and a 1.5 per cent drop in November. CoreLogic RP Data head of research Tim Lawless said this month on month rise wasn’t quite enough to pull the rolling quarterly rate of growth back into the black, with capital city dwelling values remaining 0.6% lower over the past three months. Hobart led the monthly figures with a 4.7% jump in values, followed by Melbourne where values were 2.5% higher and Canberra with a 2.8% lift. Sydney values also showed a rise of 0.5%, while the remaining four capital cities showed dwelling values to be either flat or down. The rolling quarterly trend was looking similarly diverse, with four of Australia’s eight capital cities recording negative dwelling value movements over the past three months, with Sydney dwelling values showing the largest fall, down 2.1 per cent. Values are down over the rolling quarter in Darwin (-1.4%), Adelaide (-0.9%) and Melbourne (-0.1%) as well. The strongest growth in home values over the quarter across the capital cities was found in Hobart with a 3.0% capital gain. Our experience suggest that we should see the strong buyer interest that we saw last year continue throughout this year with the next few months traditionally being a strong sales period. We should see a flow on effect from our capital cities with those sellers who are looking to relocate to Hervey Bay but had to sell first realise that goal. The following data from Herron Todd White valuers supports this and places our local market in the 1st stages of recovery for both houses and units. 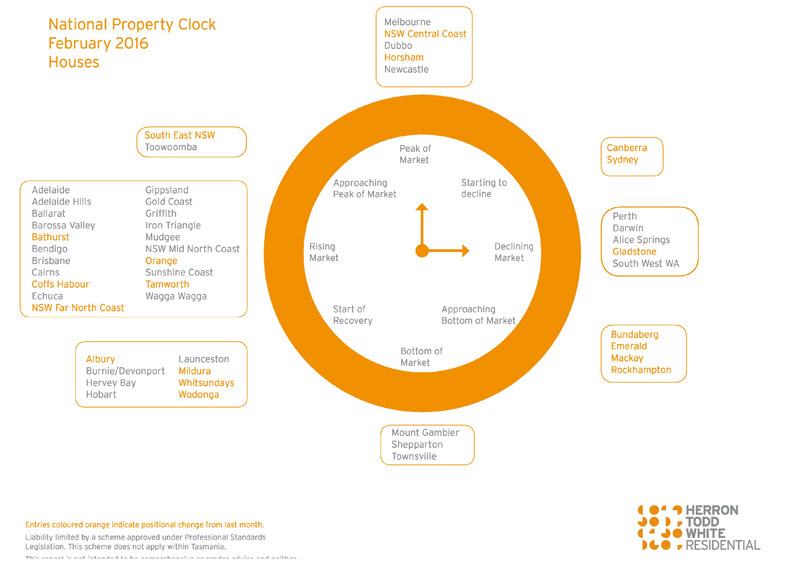 The year ahead is expected to deliver steady market conditions for residential property and stable supply and demand across the region. Sub $300,000 stock is predicted to firm with the lack of housing in this price range and improved rental returns driving prices slightly higher. The move towards smaller lots sizes (in the range of 350 square metres to 500 square metres) is now encouraged by Council with many new estates currently being developed adopting this higher density format. Unit development is considered to be imminent in the short to medium term, with very little new stock being offered to the market after absorption of an oversupply of units. The most popular unit style which has shown to be well received by buyers in recent times is the villa and townhouse unit, as opposed to high rise development. The Hervey Bay Housing Affordability Project is an initiative by Council and Federal Government which offers $12,000 grants for new land or new house and land packages. 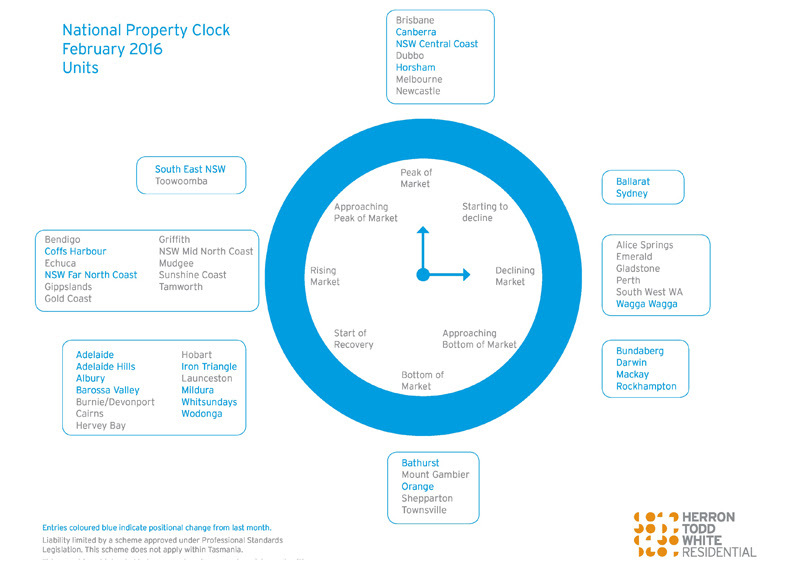 The incentive is reported to expire on 30 June 2016 which could result in a slowing of sales to first buyers. It is hoped the project may be extended to stimulate economic growth and support local employment in the construction industry. The prestige property market has improved over the past twelve months with more sales in the higher price range (above $700,000) than previous years. While property prices are not considered to rise in this market in the short term, sales are expected to continue at this rate with more medical staff moving to the area due to the new private hospital and supporting medical industries. There is currently an abundance of higher priced stock on the market and vendors have to be flexible in order to finalise a sale. If you would like to know where your home would sell in our local market or just not happy with your current sale campaign – give us a call directly on 0428 484 499 and we will arrange to meet and prepare a detailed current market analysis report – no obligations, no cost – just accurate property data to assist you with making the best decision.